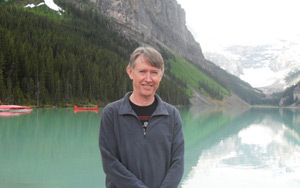 Pannell Discussions » 87 – Economics and the future » Ideas in economics, environment, policy and more. One of the most difficult issues in economics is how to deal with time, especially for issues that extend over the very long term. Steve Schilizzi and I have just published an edited book on this subject, with contributions by some outstanding economists. Here is a snippet from the introduction, and a list of the chapters. The basic question addressed in this book is, how should we assign a present value to benefits and costs that occur in the future? In other words, how, and to what extent, should future benefits and costs be discounted in the present? The question is multifaceted, complex, and not solely economic. For example, the answer may depend to some extent on elements of religion, biology and social and political context. A number of religions have had strictures on charging interest on loans, which has implications for the rate at which private investors would discount future benefits and costs to the present. The Bible tells us: Love your enemies, do good and lend, hoping for nothing therefrom (Luke 6:35). Related to this Christian tradition, Britain, up until 1832, had usury laws prohibiting interest rates above 5 per cent. Similarly, in the pure Islamic tradition, even today interest on any lending is strictly forbidden. On the other hand, the undesirability of imposing a strict anti-usury position was long recognized, including, for example, by the tolerance of Jewish money lenders in Christian and Muslim communities. Imola (d.1387) observed that, he who practices usury goes to hell; he who does not, to poverty. Individuals are likely to treat the trade-off between present and future in different ways depending, to some extent, on their personal circumstances and the social context within which they find themselves. For example, after cyclone Katrina ravaged New Orleans in 2005, thousands of people were sheltered in a large sports stadium, the ‘Superdome’. The Superdome became notorious for the lawlessness that ensued among a section of its temporary inhabitants prior to the complete evacuation of the city. After the evacuation, a tourist interviewed on radio observed that the perpetrators of the appalling crimes he had witnessed appeared to be behaving ‘as if they had no tomorrow’. For them, there appeared to be no trade-off between present benefits and future costs (and in the circumstance, perhaps they were right). Similar observations were made during the Peloponnesian War in the 5th century bc, when Athenians trapped behind the protective walls linking Athens to Piraeus fell victim to hunger, squalor and ultimately to the bubonic plague; thousands died. The historian Thucydides painted a horrific picture describing how hopelessness about the future took hold of the Athenians and how theft, crime and lawlessness flourished. While recognizing these other potential influences, this book is concerned with present–future trade-offs in a variety of economic contexts, and the authors are all economists. The economic contexts examined range from private individuals making financial decisions with relatively short time horizons, through to political representatives who must make decisions on behalf of the whole community, with a range of financial and non-financial consequences over the extremely long term. In the first category, the relevant decision makers include business managers, consumers and private investors, while the latter category includes governments, bureaucrats, and so-called ‘ethical’ investors. Pannell, D.J. and Schilizzi, S. (eds) (2006). 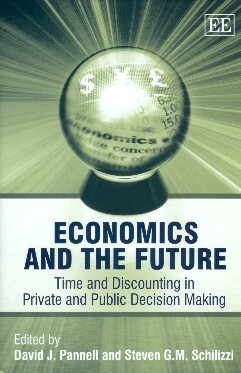 Economics and the Future: Time and Discounting in Private and Public Decision Making, Edward Elgar, Cheltenham, UK and Northampton, MA, USA. Buy it from the publisher here. Pinker, S. (1997). How the Mind Works, London: Penguin. Posted on 30 October, 2006 by David Pannell. This entry was posted in Economics. Baha’i faith officially sanctions the payment of interest. The founder of the faith wrote “it is lawful and proper to charge interest on money” provided it is “conducted with moderation and justice”.